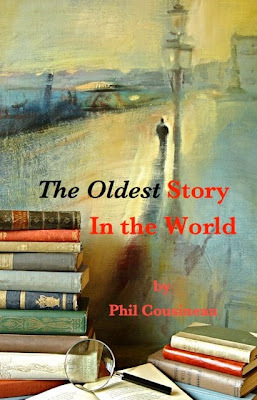 Phil Cousineau's "The Oldest Story in the World"
"It's just marvelous the way you've demonstrated how similar the journeys in myth are to those in art, literature, movies, and dreams. You've done what all artists and writers must do with the great stuff of myth: you've made it your own. 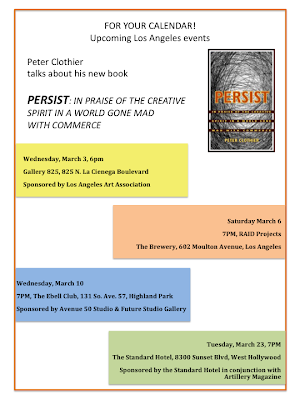 The Soul of Art: Peter Clothier's "Persist"
Peter Clothier's blog The Buddha Diaries is continually informative and entertaining. too soon by pneumonia, scarred and stiffened. with each breath, repeatedly—and I stare. can coax Luke’s lungs into recovery. something the doctors no longer expect. Is it peak pressures to tidal volumes? to the ventilator’s support level? What is significant? What is just noise? when he sees me staring at the machines. “Look at me.” He doesn’t hope in numbers. Hope to see you there today. 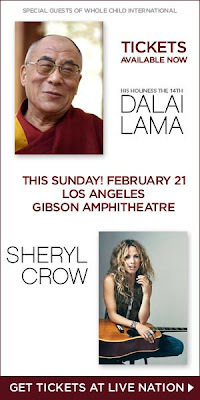 The Dalai Lama and Sheryl Crow at the Gibson Amphitheatre in support of Whole Child International. And my reactions to the event will appear on Speed of Life later this week. 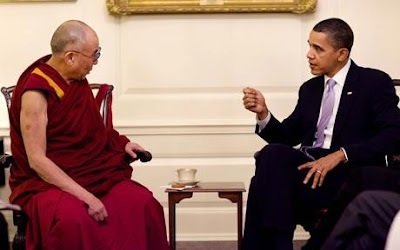 Barack Obama met with the Dalai Lama at the White House this week. The morning of my last day on a trip to Thailand, was particularly luminous. I got up especially early and wandered through the alleys of Chiang Mai, following some monks on their serene morning pilgrimage. The light was almost incandescent and the blur of movement seemed to create paintings for me. I just needed to pay attention. To really see. I spent the time on the short flight to Bangkok watching a kind of film playing in my mind of saffron robes scintillating in the morning mist. Later, as I waited for my connecting flight to San Francisco, I caught sight of a different clip on a television monitor as the second plane crashed into the World Trade Center. It was September 11, 2001. I felt the horror of the crowd as we watched in disbelief. I longed for home and my son. Weeks later when finally back in my studio, the juxtaposition of the monks’ serenity in Thailand that day and the traumatic explosions on the other side of the globe, stayed with me. 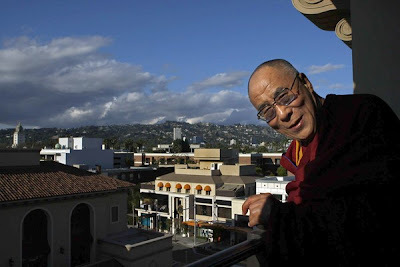 The saffron robed monks in my work are direct echoes of that experience and that day. For me, these monks are spiritual pilgrims that lead us away from the destruction and waste of violence, racism, and hatred. I began painting them, giving space to their calm. The resulting paintings led to a series, and some recent large works-on-paper on this theme are featured in the LOOK Gallery's upcoming exhibition 100 for 1000. 100 for 1000 opens at the LOOK Gallery in Los Angeles on Thursday, February 18th, 2010. The exhibit runs from February 18th until March 31st. A main gallery wall provides a contemplative space for my recent large works on paper and I will have a large number of 30"x22" monotypes on display as well. New Orleans Wins & Turner Travels! Speed of Life Called It! Spurred on by fellow artblogger, Tyler Green, the New Orleans Museum of Art and the Indianapolis Museum of Art - put their paintings on the line over todays Super Bowl between the New Orleans Saints and the Indianapolis Colts. I called an improbable New Orleans victory over the Colts. 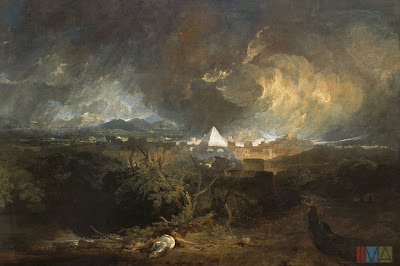 In which case the Indianapolis Museum of Art will lend Turner's vibrant and mysterious The Fifth Plague of Egypt to the New Orleans Museum of Art. Check out Tyler's blog for the ultimate in museum director trash talk and mannered New Orleans (and Indianapolis) grace as well. "Max is a gracious opponent. 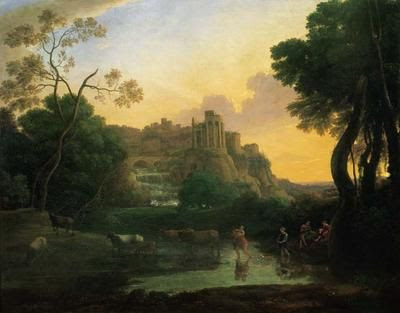 Thanks for accepting the wager of a Claude from New Orleans for a Turner from Indianapolis. But this is definitely the Saints year. They are the Dream Team and in New Orleans we know that dreams come true. Geaux Saints!!!" We had friends from Washington DC over for a lovely dinner this week. It was great to share new work with them at my studio and talk deeply about travel and life. Safe travels from the rain to the snow! 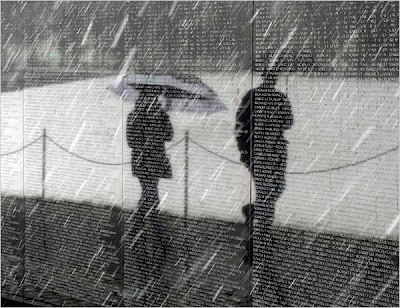 "Pedestrians walking past the Vietnam War Memorial. An administrator of the National Oceanic and Atmospheric Administration called the blizzard "a potentially epic snowstorm" that could rival the 28 inches of snow that a January 1922 storm dropped on the capital." Soheil Tavakoli was born on April 17th, 1968 in Tehran, Iran. 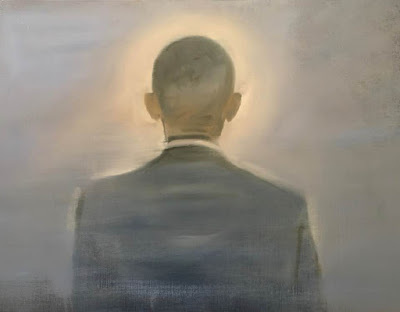 Soheil became an artist and architect in Iran until he left for the United States in 2004. Tavakoli explains that "he left Iran for the United States in search of a more dynamic and understanding society."